"Cabin crew, doors to automatic and cross-check please." 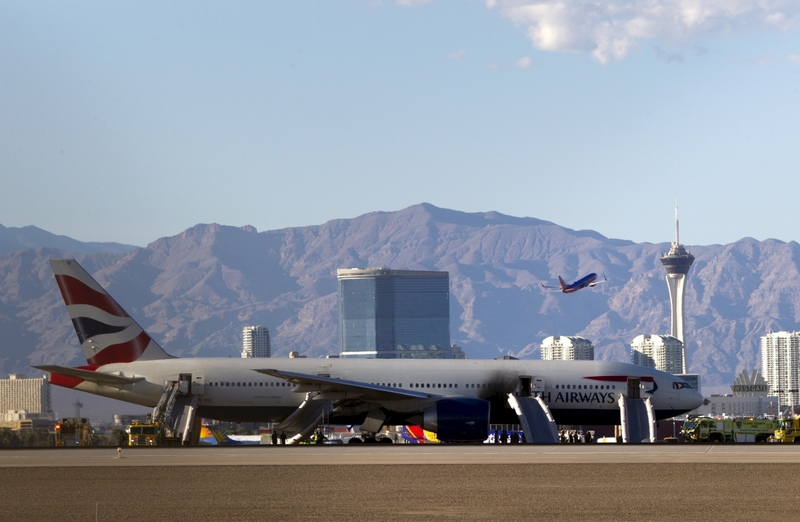 We've all heard that on a flight before take-off, but what the heck does it all mean? 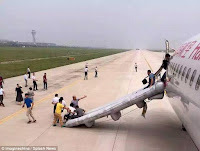 Well, thanks to a video from British Airways we now know it is all to do with arming the door's emergency slides, just in case something happens and we all need to make a hasty exit from these mechanical birds taking us to far off ports. While it is exceptionally rare for an the slides to have to be deployed, all but the very smallest of commercial aircraft are fitted with a number of them. They are there to ensure passengers and crew can, in the event of an emergency, get off the aircraft quickly and safely. As aircraft doors are often quite high above ground level, these huge inflatables can be up to 14 metres which is around 46 feet, in length. Most also double as extra long life rafts in the unlikely event of a water landing, or ditching as its often called. Yet, whilst these slides may never get used or even seen by passengers eyes, they do form part of the aircraft's crucial safety equipment. Safety is British Airways highest priority, and the airline has created a short behind-the scenes video, giving access to rarely seen regular tests on its evacuation slides. British Airways licensed engineer Peter Dyer explains in the video that every British Airways aircraft is fitted with evacuation slides, and these systems are checked on an almost daily basis. 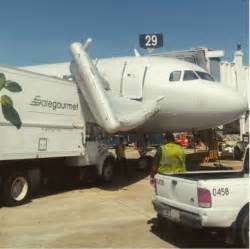 The airline’s highly trained engineers also frequently ‘blow’ the slides to ensure they work properly. This story continues including images of slides in action ! The aircraft shown on the video is one of British Airways’ Boeing 777-200 planes at London Gatwick, which is fitted with eight slides. Peter explains that if the aircraft door is opened when it is in what is known as the ‘automatic’ position, the slide will automatically deploy. Incredibly, it takes just six seconds to fully roll out. If you’ve ever heard cabin crew being asked to ‘cross check’ a door, Peter explains that ‘Doors to automatic’ or ‘manual’ are the positions the door needs to be in prior to taking off and landing, so that they can be used in an emergency. Cross checking is a way of cabin crew making sure that they are in the correct position. They shouldn’t be armed (ie, with slides ready to inflate) when the aircraft is about to arrive at the stand to start disembarkation. So now you know what doors to automatic and door to manual is all about and thankfully the cabin crew cross check each others door to ensure its set in the correct position. It was on 15th January 2009, US Airways flight 1549 suffered multiple bird strike which caused both engines to fail. Captain Chesley B. 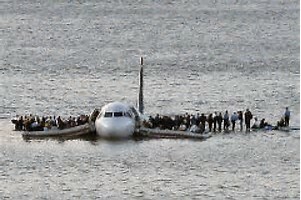 "Sully" Sullenberger managed the seemingly impossible and successfully made emergency water landing in the Hudson River, New York. In this image you can see the two forward doors emergency slides in action, although most passengers elected to stand on the wings of the floating aircraft. In July 2015 a hold fire alarm / warning sounded on a Hainan Airlines aircraft which forced the flying aircraft to return to the ground. 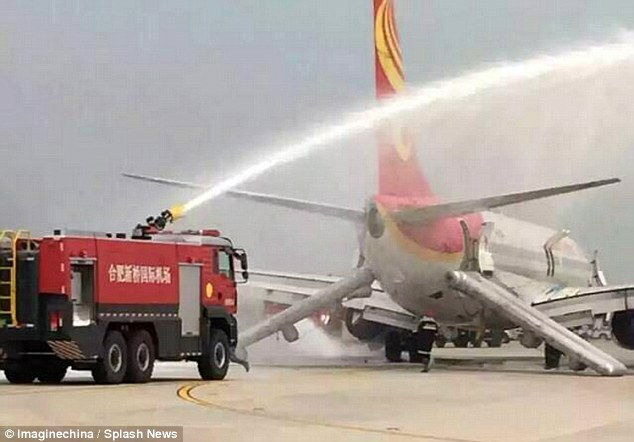 Passengers escaped the aircraft via the slides and the airport fire service arrived and sprayed water on the aircraft as a precaution. There was no fire was found and eight people suffered minor injuries during the evacuation. 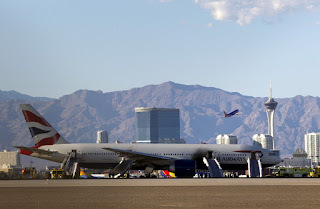 170 passengers managed to escape a British Airways Boeing 777 on the runway at Las Vegas airport when one of its engines caught fire during its take off run. Despite being advised by cabin crew to remove shoes and leave personal items behind, the majority of passengers ignored the requests and risked their own safety and the safety of others by taking cabin baggage with them as they evacuated the burning aircraft. 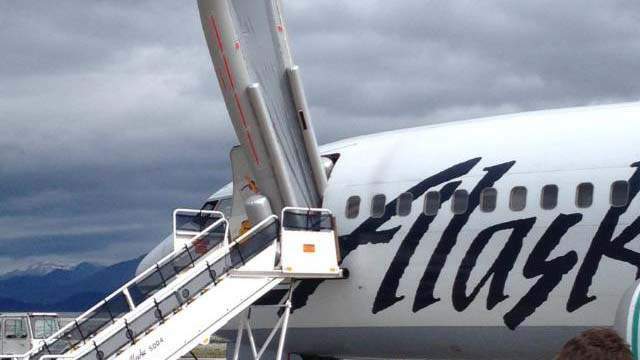 Many industry advisers concluded that had the aircraft been full, the actions of those passengers taking their bags would have caused serious injury and probably fatalities to other passengers. Therefore, if you're ever in the situation where emergency evacuation is necessary, leave you bag on the aircraft, after all you can always buy a new bag, you can't buy a new life! And what happens when the cabin crew don't disarm the door and set it back to manual on the ground?